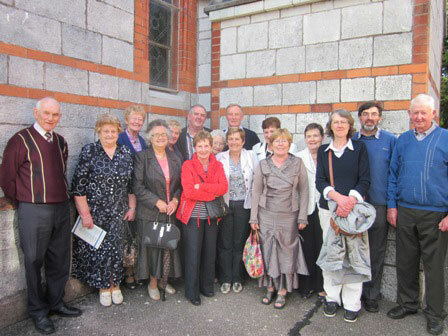 The FVC Sponsors in Munster who had completed their 8 year sponsorship gathered at the SMA Parish in Wilton, Cork to celebrate with Fr Kevin Conway SMA, one of the 10 priests they helped sponsor for priesthood in 2011. 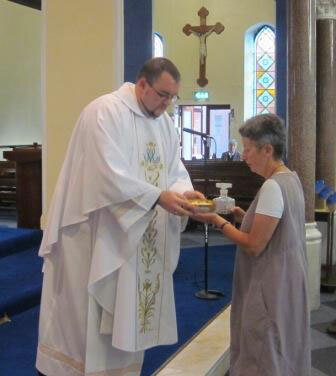 Fr Conway was ordained on 18 June in his home parish in Dunamanagh, Co Tyrone. Nuala Hogan and Kay Murray pictured with some of their Sponsors from the Nenagh area. Fr Kevin celebrated the Mass at 3pm. The Mass, which was concelebrated by Fr Fergus Tuohy SMA, the new FVC Director for Munster, and Fr Damian Bresnahan, who is responsible for Promotion in the Irish Province, was an opportunity for Fr Kevin (and the SMA) to say a sincere Thank You to each and every Sponsor for their enduring support down the years. Not only are we grateful to those who have completed their 8 Year Sponsorship in 2011 but also to all our SMA Sponsors, throughout the country. Though it is true that vocations to the priesthood in Ireland are low at present, the SMA is in the happy position of having more than 270 young men at various stages of training for the priesthood. Fr Kevin was one of 10 to be ordained in 2011. All of them completed their training in one of three seminaries in Africa: CFMA Abidjan (Ivory Coast), Ss Peter & Paul’s Major seminary Ibadan (Nigeria) or Tangaza College, Nairobi (Kenya). The financial cost of training so many young men is substantial. The contribution from our FVC Sponsors to those costs is significant. But our Sponsors are also a powerhouse of prayer for our students (and all Society members). Our pictures show some of the Sponsors who attended the Mass and the ‘Cup of Tea’ afterwards in the adjoining SMA Parish Centre. FVC Sponsors in other parts of the country will also have an opportunity to meet Fr Kevin in the coming weeks as he travels around the country to the SMA Houses and other centres where meetings have been orgainsed by the FVC Directors in Dublin, Leinster, Connacht and Ulster. 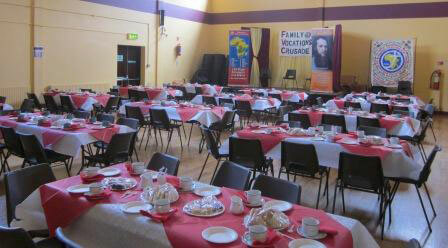 SMA Community Centre awaits our welcome visitors…… and plenty for all!